Barks of Hope - Cosechando Felicidad Inc.
You never know the impact your actions will have. When we began our work in Guatemala we had no idea where it would take us. Honestly, we still have no idea where exactly this adventure will lead and who we will be able to help along the way. In previous blogs, we have talked about our volunteers and how incredible they are. How they choose to help others even when it costs them; how they are always available when needed; and how they go out of their way to serve. Now we are excited to share with you the new project our volunteers have decided to take on. Many of our volunteers are very passionate about animals, specifically dogs. Just to give you a little bit of background, there are hundreds of street dogs in Santa Maria de Jesus. These dogs are abused, sick, and starving; often eating trash. They have very short life spans. 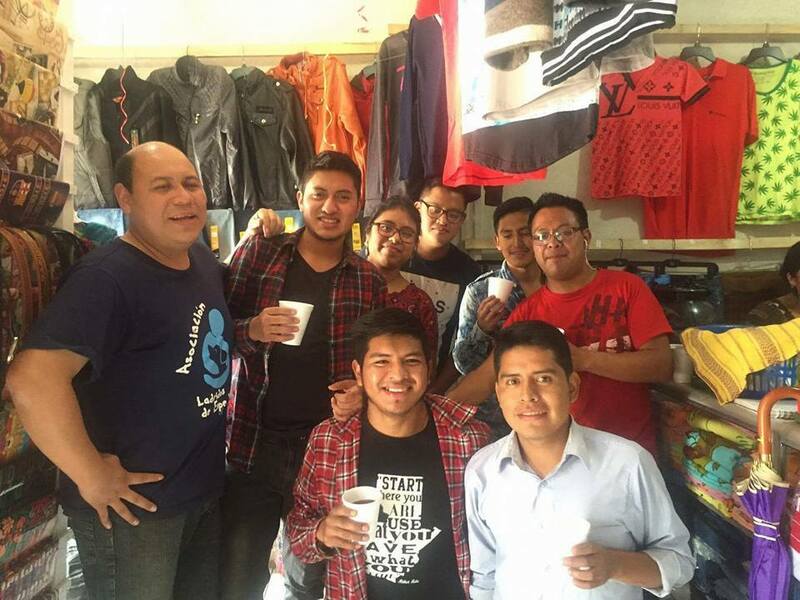 A group of Ladridos de Esperanza volunteers meeting before a children’s event they held. One of the street dogs the organization has taken in and cleaned up. Pictured here pre-bath with his anti-flea shampoo. Their organization of young people strives to provide these street dogs with a protected place as well as the care and love they need. They have had a piece of land donated which they use to take care of dogs they rescue. They are currently trying to finance the construction of a small shelter and fenced in area on this land for the animals. This has been estimated to cost just under $1500. They find street dogs who are particularly in need and clean them up, take them to the vet, and bring them to their sanctuary. 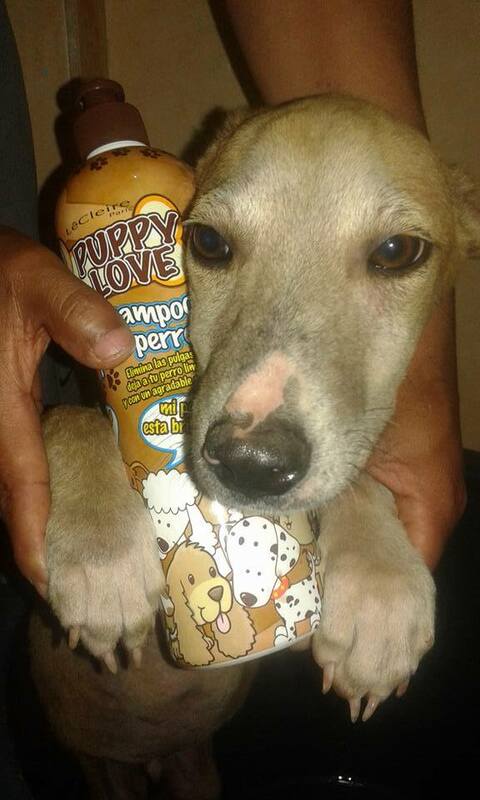 The ultimate goal is to rehabilitate the dogs and find them a loving home where they will be taken care of. They have gotten creative with their fundraising and been speaking in schools to promote the organization. You can also find more information on their Facebook Page “Ladridos de Esperanza”. 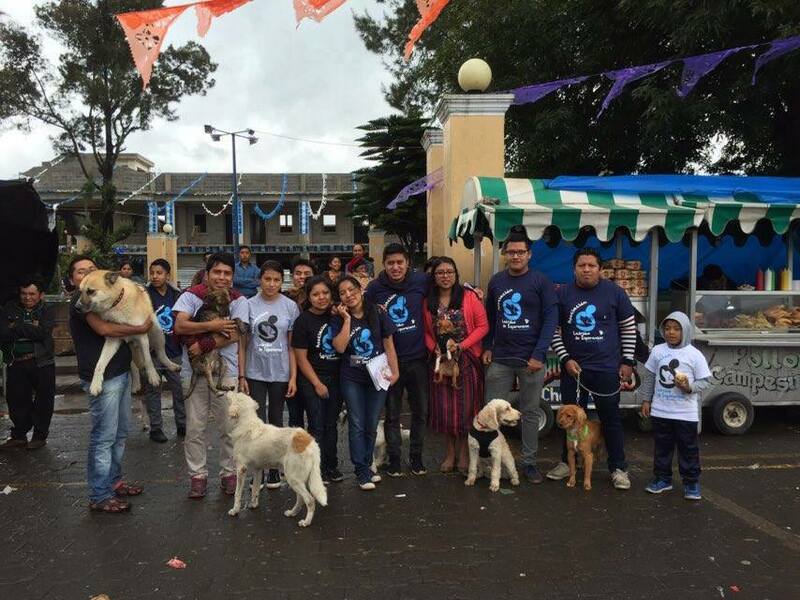 Group of Ladridos de Esperanza supporters and volunteers before a dog parade fundraise they organized for Guatemala’s Independence Day. It has been absolutely incredible to watch them take on this project in response to a need they feel very passionate about. Once when I expressed how proud I am of them they responded that they are only doing it because they saw us fight for our programs to succeed. That even when things were really difficult we kept trying and they’ve been able to see us making a consistent and lasting difference in the lives of those we are serving. They said because they have seen us do it, they knew they could too. All of this was enough to bring tears to our eyes. It is incredible how God has already used what we have started to encourage others to take a stance about something they think is important. You never know who is watching you and how your actions will affect others. If anyone would like to support “Ladridos de Esperanza” please feel free to like their page on Facebook (Asociación Ladridos de Esperanza) or contact [email protected] to donate money directly to the cause. Note: Due to their location solely in Guatemala, any donations made will not be issued tax-deductible receipts.